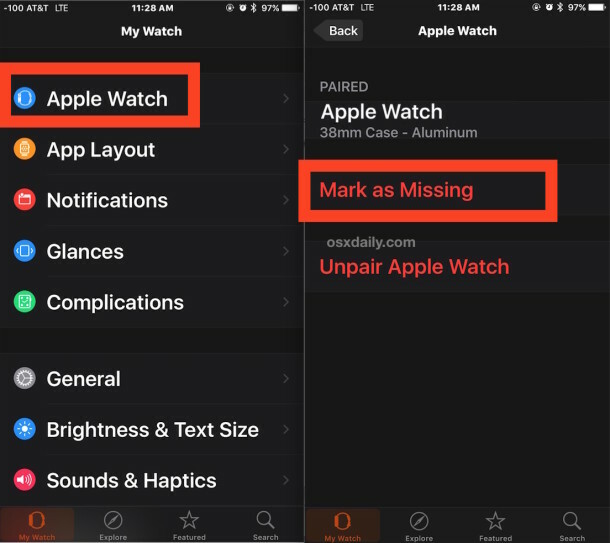 Apple Watch includes a feature called Mark As Missing, which is similar to iCloud Lock for iPhones, and intended to be enabled if an Apple Watch is missing or misplaced. Once activated, an Apple Watch goes into an Activation Lock mode, which requires the associated Apple ID and password to be entered before the Watch can be paired and used again – even if the Apple Watch is erased. Enabling activation lock on Apple Watch also disables Apple Pay cards, so if you’ve setup the payment feature for the Apple Watch, you won’t need to worry about someone using it if you lose the device. The simplest way to enable Mark As Missing on a lost Apple Watch is through the paired iPhone associated with the device, but you can do it through iCloud as well. Mark As Missing can also be enabled from any computer or web browser by visiting iCloud.com from the “My Devices” section, similar to rremotely locking down an iPhone, Mac, or iPad this way. You can also remove the iCloud activation lock this way just like you can with a missing iPhone or iPad by using the associated Apple ID to remotely undo the lockdown. Note that if you enable this lock feature, you can’t simply mark the Apple Watch as found to use it again, and instead you’d need to repair the Apple Watch setting it up as if it was new again. In that process the latest backup would carry over from the paired Apple Watch, however, and you’d be where you were when the apple Watch was marked as missing. 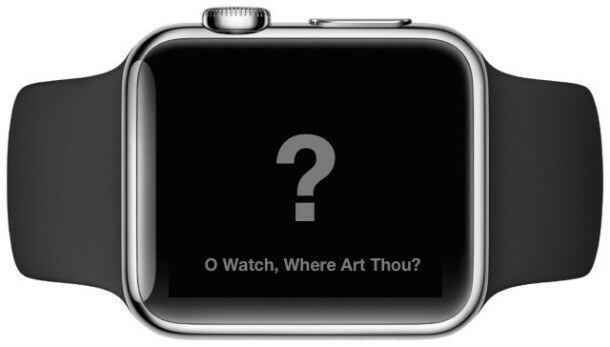 Note the Mark As Missing feature requires WatchOS 2 or later to be installed on the Apple Watch. I have no “mark as missing” option at that location even though I have Watch OS 2.2.2 installed. You must have iCloud active otherwise the Find My iPhone / Mark As Missing Apple Watch type features aren’t there from what I have seen. Hmm. I do have it active and Find my phone is on. On top where it has your Apple Watch, click on the right arrow and the the information icon on the right and you will find it. It has Paired and the name of my watch, and underneath I have in red the ‘Un-Pair Apple Watch’. Thank you for all you help you two, I’ll ask Apple support about this one. BTW, now that Sierra is changing the name from Mac OS X to ‘MacOS” will this great website also change it’s name to ‘MacOS Daily”? It is available on my Watch and my friends Watch, it should be on all of them with iCloud it looks like? Thank you for your help it is greatly appreciated. There’s something going in here though so I will call support.